Our rotor die casting machine has four working stations and it is also equipped with mechanical arm. Therefore, one person can take care of more than one machine. It is better than the conventional die casting machine for below reasons. 1. safe:it adpots a C type structure. During production, there`s no need for operator to work under the projection area. Meanwhile, operator does not need to handling the heavy tooling which might occur body injury, and the machine has aluminium anti spatter design to prevent the aluminium liquid from spraying and cause injury. 2. environmental protection :Unlike the conventional die casting machine, our machine doesn't need asbestine cup to keep the temperature and demould. The adpotion of automatic solid lubricating system and demould oil adding system makes the whole production smokeless , tasteless , pollution free and clean. 3. Power saving :the whole power of our machine is 7.5KW. During die casting, machine will transfer the residual aluminum to the smelter in time. Since the residual aluminum still has a high temperature. It is cost saving and time saving. Besides, the injection system of our machine is patented. 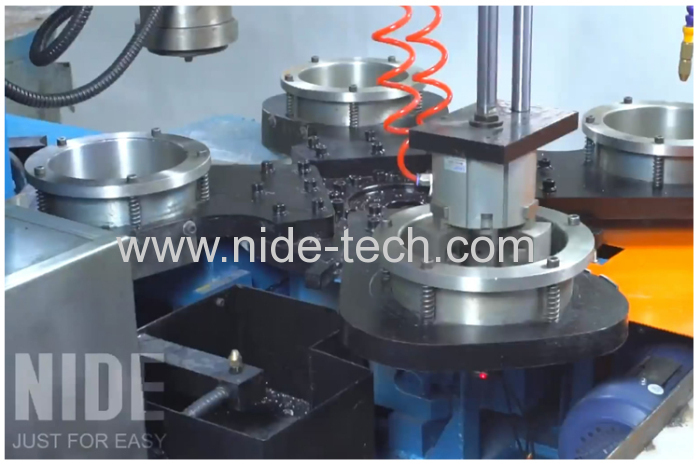 The injection head can be used for about 1-2 months, while the injection cylinder for more than half year. 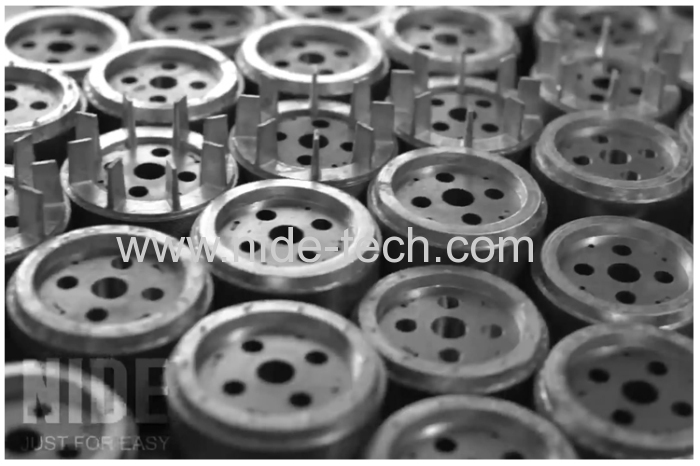 Since the injection head and cylinder are easy consumed parts, therefore, our design also reduce the changeover frequency and cost of production. 5. easy operation: The conventional machine requires about 3-5 operators for one machine. However, for our machine, one people can take care of more than one machines. It only takes one day for green hands becoming practician. It greatly reduced labor cost. 6. fast mould changeover : it takes about 10min to change mould. Meanwhile, the cost of mould is much less and the production is simple. 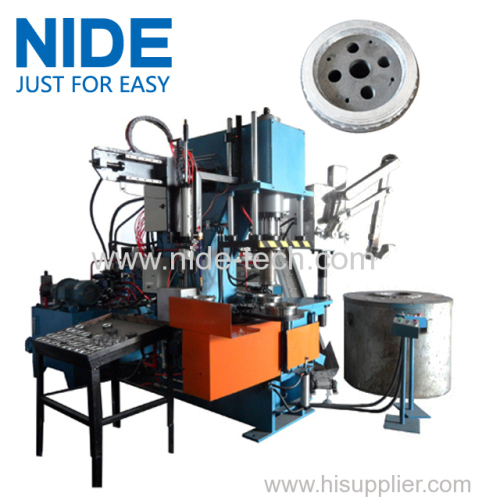 This kind of Aluminium Rotor Die-casting Machine is used for producing cast-aluminum rotor.